US President Donald Trump on Saturday went to one of his golf courses as the final public ceremony honouring late US senator John McCain was underway in Washington. 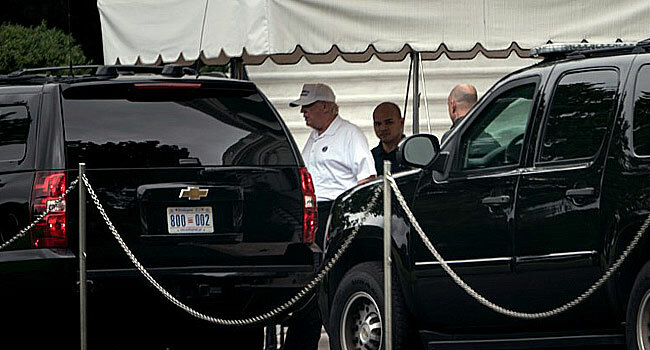 The president’s motorcade arrived at Trump National Golf Club in Loudoun County, Virginia around 11:16 am (1516 GMT) while eulogies to McCain were being delivered at his funeral at Washington’s National Cathedral. Earlier, McCain’s daughter Meghan had delivered a tearful address which pointedly took aim at the president’s campaign slogan. “The America of John McCain has no need to be made great again because America was always great,” she said to applause from an audience that included Ivanka Trump and Jared Kushner, the president’s daughter and son-in-law. Trump meanwhile was seen wearing a “Make America Great Again” cap on Saturday morning. McCain was one of Trump’s sharpest critics and made clear in one of his final wishes as he struggled with brain cancer that he did not want the president to attend his funeral. 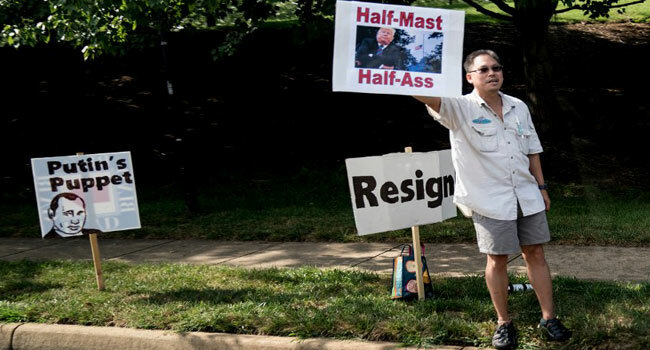 Trump waited several days after McCain’s death to praise him directly and belatedly lowered flags to half-staff across the country only after bowing to pressure. McCain denounced him for using language that “fired up the crazies,” while Trump said McCain was a “dummy” who had barely managed to graduate from the US Naval Academy.